What is it? 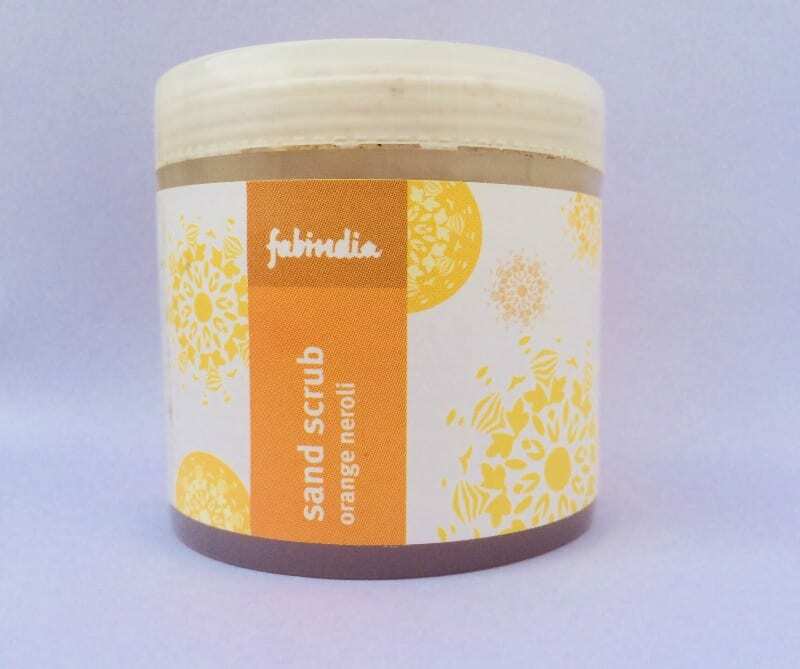 FabIndia Orange Neroli Sand Scrub is a face and body scrub containing river sand and orange neroli as its main ingredients. Neroli essential oil(produced from the blossom of bitter orange tree) has anti-oxidant properties that help in reducing blemishes, age spots and wrinkles, while sand is a natural exfoliator. It comes in an attractive plastic tub packaging. It has all the information about the ingredients and directions to use on it. The container is handy and easy to use. The lid shuts tightly and is spill proof. Apply a scoop of the scrub to wet skin and gently massage all over the body in circular motion, focussing on rough areas. Rinse and clean thoroughly. I would recommend that you be a little gentle on your face as the sand particles are a little rough. The scrub has a very distinctive and refreshing citrus aroma. 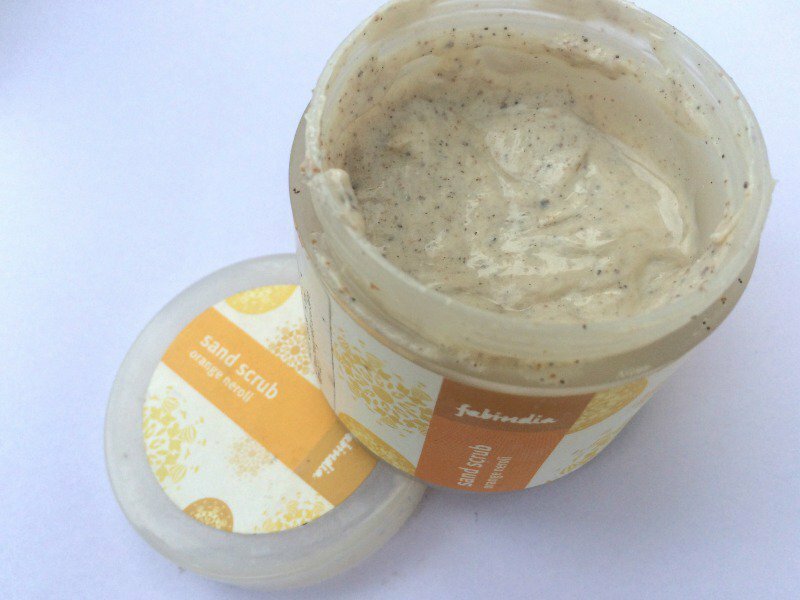 This cream colored scrub spreads on the face easily, though the sand particles feel a little rougher than the other scrubs. It’s a great product for winter as it does not dry out the skin. 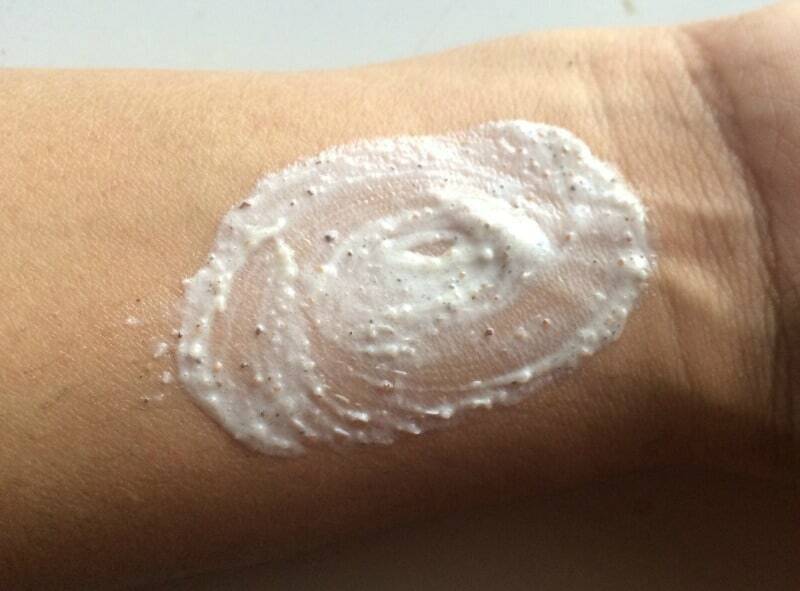 My skin felt very smooth and soft after use. However, do use the product a little gently on the face. Avoid using it if you have pimples on your face as it can cause some mild burning sensation. This product works great as a body scrub. Use a little for your arms and legs during your bath and you will definitely feel a difference. It’s great for the winter season as it will not dry out the skin on your arms or legs. Well, I would recommend it for those with dry skin. It’s a great scrub for the winter season. Definitely not recommended for those with sensitive skin or with skin that is prone to acne breakouts. Looks like a good body scrub for winters..